An alternative to building your own tiny house is to start with an unfinished pre-built shed shell. You may have seen buildings like these lined-up along side the highway in your community, outside your local home improvement store, or even inside your local Costco. Typically these pre-built unfinished buildings are sold as sheds, but some are fitted with the right kind of windows & doors and sized appropriately to be used as a house. Photo credit to Mighty Shed. Cost – In some cases you can buy a pre-built shell for less than you can build one yourself, because professional shed builders often pay wholesale prices for their materials and have become very adept at building them efficiently. Financing – In some cases the makers of pre-built shells offer financing. I imagine the financing is some kind of personal loan and the interest is high, but for those looking for financing this may be a benefit. Speed to Completion – Since the buildings are delivered as complete shells, the time it takes to make them habitable may be quicker. But temper that with the reality that building the shell is often the quickest – albeit heaviest lifting – part of a tiny house project. So while you may get the big heavy part of the project done quickly, you’ll still have a lot of work to do after the shell arrives. Warranty – If you build something yourself, you have no farther to look than yourself for repairs. With some of these prebuilt sheds you’ll find that that come with warranties. This may offer some peace of mind. Aesthetics – You’ll probably have fewer choices in the style & color with pre-built shells than with custom designs since you have full control when you design and build from scratch. Quality – The quality will depend on the builder and the shell’s intended use. Inspecting the building and paying special attention to the materials & construction will help determine if the vendor’s shells will hold-up over time. Strength – The sturdiness of structure may vary from vendor to vendor and design to design. For example you may find a really low cost shed but while inspecting it closely you may find odd lumber sizes or little plywood or OSB (oriented strand board). While these details do not mean the building is lower in quality they may point to future difficulties when attempting to finish-out the building as a home. Mobility – Tiny houses on wheels are purpose built to be pulled down the highway. They are anchored tightly to their trailers and the external treatments are often chosen for their wind resistance. While most folks don’t move their tiny houses often, it can be a real benefit to have that option. A pre-built shed may or may not be sized to fit within the legal limit of a trailer, and it may not have been built with high winds in mind. So if your intention to have mobility, greater care should be taken when selecting the right pre-built shell. With all that said, pre-built sheds are an option for some future tiny homeowners. They do take some of the heavy lifting out of the project and if up-front costs are a barrier, then these may help break through into tiny home ownership quicker. You should also look into the legal limitations and allowances for using these tiny structures as dwellings in your area. The shed builders in your area may be able to help you with these details. Some of them may even offer specific models that they’ve built to meet local codes for use as dwellings. In any event be sure to look at a lot of shells if you’re considering these options. Take notes about the construction details so you can compare later since after a while they will all look the same. Is the structure framed with standard 2×4 lumber (1.5″ x 3.5″ actual)? Rafters in the floor and joists in the floor are usually larger – depending on the span and weight loads needed. If you’re in a cold climate you may want to use at least 2×6 lumber (1.5″ x 5.5″ actual) in the walls. What is the spacing between studs in the walls, joists in the floor, and rafters in the ceiling? 16 inches on center (O.C.) is preferred. 24″ O.C. is still usually acceptable and common in mobile tiny houses to save weight. Are the walls, floors, and roof sheathed? In the walls and roof do you find at least 5/8″ thick plywood or OSB? Is the floor decking at least 3/4″ thick? 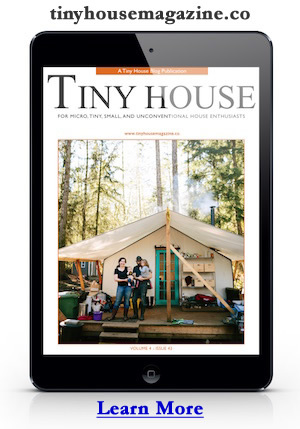 Mobile tiny houses often use 1/2″ plywood sheathing in the walls and roof to save weight but thicker is stronger. Is there a separate layer of external siding on top of the plywood (or OSB) sheathing on the walls? The plywood (or OSB) add strength to the structure while the siding provides weather proofing. Some sheathing materials can do both, like T1-11. These materials can speed construction time and lower costs, but they put less material between you and the weather. Is there a layer of plywood (or OSB) decking between the roofing material and rafters? In many sheds you’ll look up and see the exterior roofing screwed right to the rafters. Just like adding extra layers to the walls, extra layers in a roof protect you better from the weather. Are the windows and doors good enough to use in a home? Windows and doors are expensive so if your intention is to save money, try avoiding buying a shed shell with doors and windows that you’ll have to replace later. Is any house wrap used in the walls? House wrap adds a breathable but weather resistant layer to walls and can significantly improve your home’s energy performance. Is there any roofing felt used in the roof? Roofing felt (a.k.a. tar paper) adds another water repelling layer to roofs. Are there any nailers in the walls for speeding the installation of interior sheathing, like drywall? These appear in the corners and look like redundant studs and rafters. Their purpose is to provide a nailing surface to attach the interior sheathing. All sheathing, on the inside and out, should be connected to framing for fire protection and strength. Does the building have the right number of fire exists, as defined by your communities local code? In some places this can be a 2’x2′ opening window and in other areas it’s two doors. Below are a couple videos from folks considering using these building shells for homes. The opinions they express are their own and may or may not agree with mine – or yours. I’ve provided them here to add food for thought. This entry was posted in Uncategorized and tagged cabin, mighty shed, pre-built, shed, tuffshed. My dh and I saw one at Lowes that we really love. It has a loft and would make a perfect little home. If our home were not paid for we would go that route for sure! This is one of the best posts ever on your site. I’ve been wondering about this option for years. Good points and very useful checklist! If one needed more space, there is the option of buying two sheds and joining them together. Home Depot also has a “shed” that is two story with actual stairs to the second floor which has a high enough ceiling to stand up..gambrel roof. There are options to order larger sizes up almost 1200 sq. feet, I think. Windows upstairs and down, front door and back door. The display on most Home Depot lots is about $8,000. The buyer would have to wire and plumb the shed but that is doable. I have read that elderly folks are buying these sheds, putting in kitchenettes, bathrooms, etc and majorly reducing their cost of living. I’m no expert, but these “sheds” seem to be well built. If my memory is correct, I think the builder of these sheds is Classic Manor located in Georgia. Home Depot shed you mentioned is not sound enough for living. check out premier buildings instead. Thanks for the referral – I have been looking at sheds to convert, and they vary widely. I will check out premier buildings. Premier Buildings Are The Best Around Quality Craftsmanship. Go By A Dealer Near You And Look Inside/ Under Their Buildings. I Live In A 12×40 Deluxe Cabin By Premier. Love It! Thank you! I was considering this one. I will go with a smaller Premium she’d with a single loft. We bought a 10 x 16 cedar sided “shed” type shell building that we finished as a “bunkhouse”. We live in a small 464 sq ft cabin built on site by the same company that built the shed and brought it out. We finished it, doing all the work ourselves except for the electrical rough-in and the plumbing, which included hooking to our septic system. We just added a 5 x 16 deck to the bunkhouse. Total cost for the project was right at $12,000. No permits or inspections were required for our area and we are in a warm climate. The wall AC unit also has heat. You can find photos at the link below if you would like to see it. Since those photos we have hung a curtain made from painter’s cloth around the toilet area, skirted the sink, replaced the bookcase with two others we had (removing the backs so the wall shows), moved the fridge to use as one of the nightstands, and added a couple of folding chairs. Looks awesome! Thanks for sharing the link. I bought an 11×36 foot shed by making payments for three years. Put it on 5 acres and completely finished it out myself from the 8 ft slider to the vaulted ceiling. I now have a rather large one bedroom and owe no one. How much did this cost you total to get the house livable minus cost of land. One thing to keep in mind is that often these sheds are designed to be just that…sheds. They’ll use materials that are not suitable for an abode, such as OSB and MDF made with formaldehyde and other materials with significant offgassing issues. This is not to say this is a universal issue, but it is something to be aware of when looking at these sorts of options. One thing I would recommend is put a good quality plywood down for flooring. Sand, stain, and seal the plywood and then you can get a beautiful tiger stripe pattern flooring. Easy to sweep and should not show scar’s and scrape’s plus you can tack down rug’s in bare feet walking area’s. Less money to do a good touch of wear resistance and it will give the floor’s a little more of a personal custom look. How many other house’s have you seen with like the one I am suggesting? Very interested in putting a tiny house on our land in NC. Also possible by our home in FL. Please send us your contact information. Peter send me your contact information, very interested in your homes. Hi, wondering what the contact info is for the family company and where it’s located. I’m not Peter but I also build small timber frames at an affordable price. Anyone who intends to convert a shed design to a cabin should consider placing the shed on a concrete slab with a suitable footing. In cold climates, you will want to make sure that the footing extends below the frost line which is typically 42 inches in the Midwest. This will prevent washouts and frost heaving which causes the cabin to change position every year with the freeze and thaw cycles. The bottom of the cabin should be constructed of pressure treated lumber. The cabin needs to be anchored to the foundation with foundation anchor bolts. If you can’t or won’t do this, you will want to skirt the bottom of the cabin with pressure treated plywood to keep rodents and other wildlife out. Once groundhogs, skunks or other animals become accustomed to burrowing underneath a house, it can take a lot of time, effort and money to get them removed. Thank you so much for this information! Being from Florida and now living in South Carolina, I had not thought of this foundation. I’m living in my Mom’s unfinished she’d right now. I have so many idea’s for my own Tiny House Shed! We also build tiny timber frame homes at an affordable price. White pine frame kits are $16 per sq. ft. They can be wrapped with structural insulated panels. First of all, thank you, fantastically informative! My question is about foundation. I read one good comment mentioning laying a cement foundation before bringing in the shed. I’ve tried to read a decent amount about foundations and different types. Does anyone else have anything to add to the aspect of what you’re laying the shed on? ie. Leveling the land, concrete vs. Pier and beam ect… ?? I’m living on a very tight monthly stipend. I currently live with friends, but there is a lot of “drama”. This story is opening my eyes to considering this tiny house option. I’ll have to start researching a lot more as my living situation is becoming untenable. I think the biggest obstacle would be finding land. The prices in my area have skyrocketed with no end in sight. Maybe this kind of tiny house option is something more people in my situation should consider? Sometimes getting an apartment is the easiest option, but might be much more expensive. In my opinion, the benefits would outweigh the negatives, but it would be up to each person. Thanks for the heads up here! My family and recently lost our home and are currently living in tents in my mother’s yard. We do have a 10 x 20 storage shed that is wood with a metal roof . We are thinking about making it into a tiny house but are not sure how to start . We are a family of 5 with a small dog, and live in western North Carolina. We could use some advice on dwelling codes to know if it is possible to convert our shed into a home . Any advice would be greatly appreciated. Ok, Let me start by saying its a awesome idea! BUT what he/she failed to mention is every building built has a stamp applied to the paper work. They do not meet building codes in any way shape or form. On the paper work there is a “S” or some other code assigned to it. Once that’s done Your done that’s it! You may as well stop looking because NO government agency will approve it in any way shape or form. DON’T for one second believe any sales person that tells you it is leagle! If this truly what you want then buy a kit or better yet build it from scratch using current codes and a licensed contractor. You will not believe all the inspections and codes you have to pass just to move in. Look it up!! You will not believe all the horror stories by other families who went down this road in Florida! I bought an aluminum 14×24 single level storage shed and found an architect that said to submit the signed, sealed storage construction plan from the seller to the building department for a permit and if modifications are required to bring it up to code, occupancy R3 and risk Category 2 for the building.